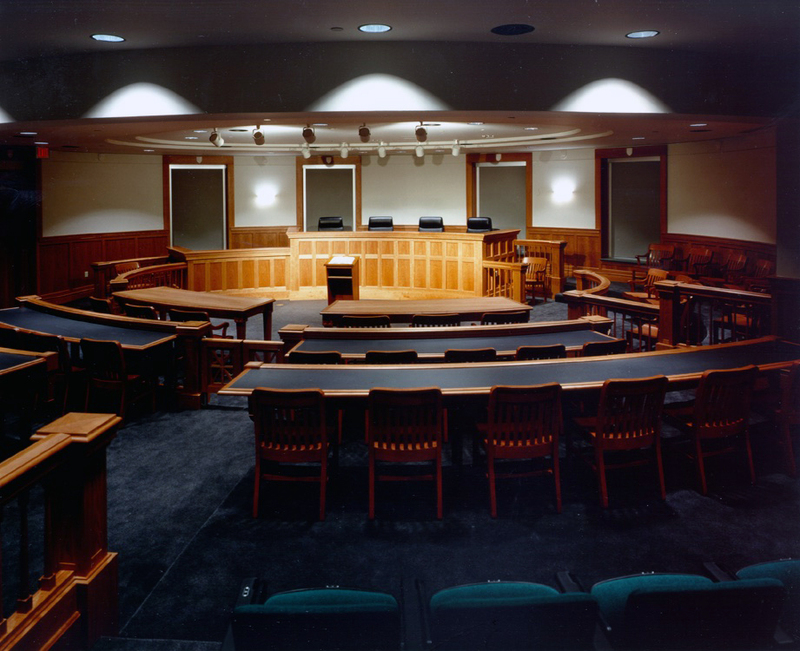 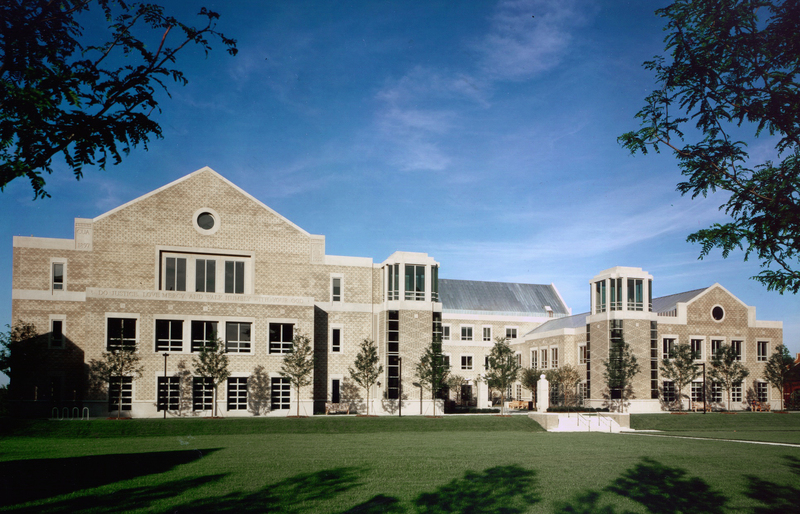 "...A state-of-the-art facility situated amidst the university’s venerable stone structures..."
Set in a prominent location along the eastern edge of the Catholic University campus, the Columbus School of Law building offers both a strong identity for the graduate program as well a measure of autonomy from the campus core. 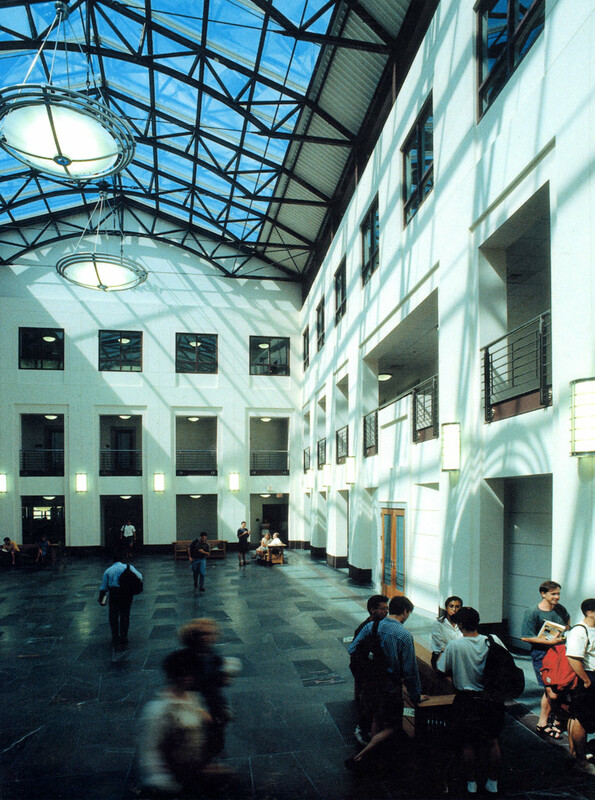 The building is organized around two courtyards—a skylit village green and an outdoor garden. 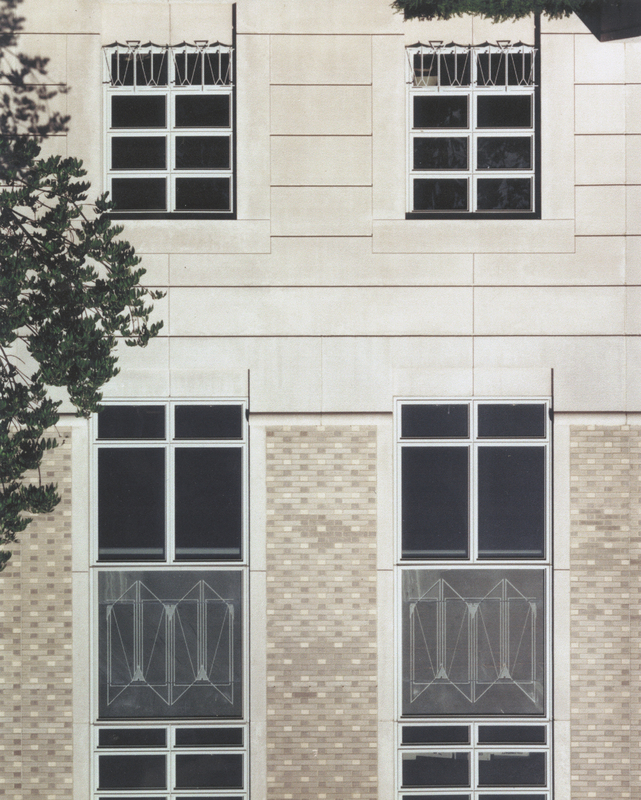 Simple building forms and patterned brick surfaces reflect the Romanesque Revival and Collegiate Gothic architecture of the campus. 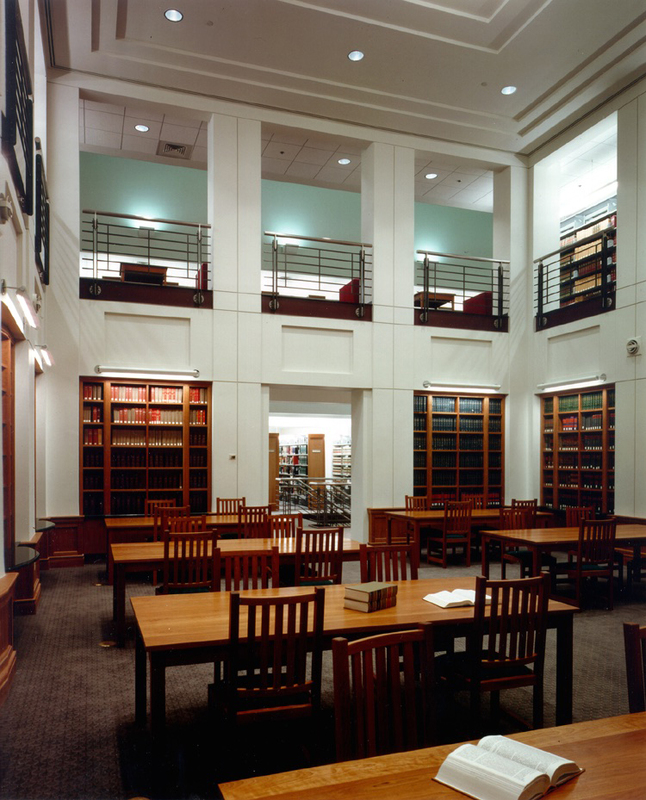 Major elements include a 220,000-volume law library, moot courtrooms, a lecture hall, classrooms and seminar spaces, a chapel, offices, student lounges, and a café. 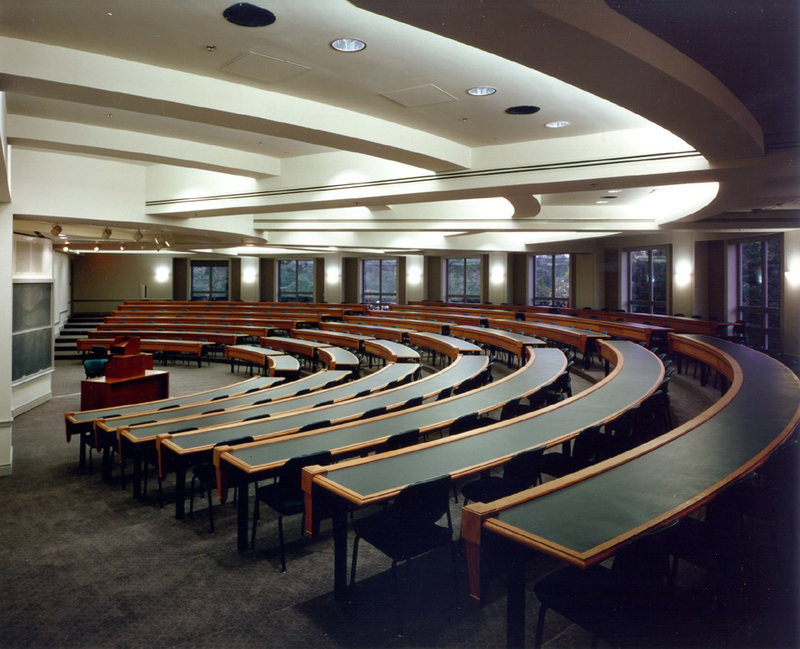 Wide corridors promote an interactive, community atmosphere while advanced voice, data, and AV technologies enhance instruction and teaming. 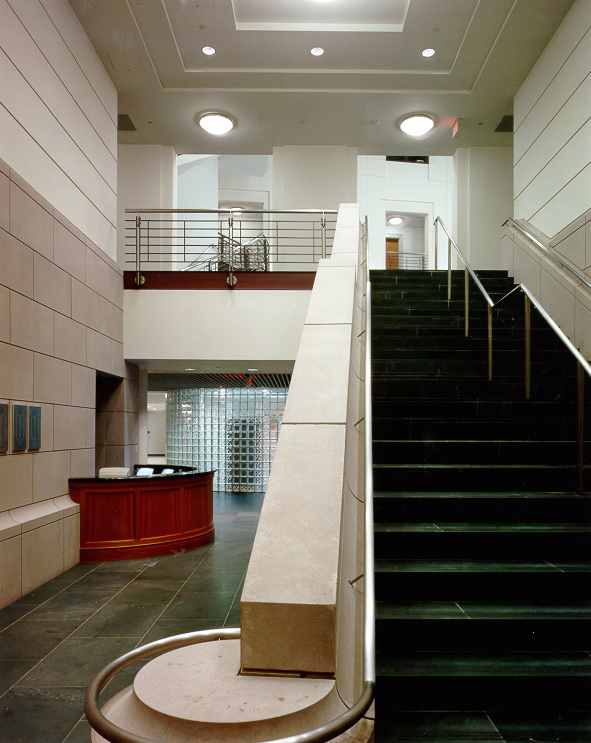 "Kleinrock knows how to navigate the complexities of institutional clients and produced a beautiful and highly functional building that has adapted to our changing needs and retains a timeless beauty." 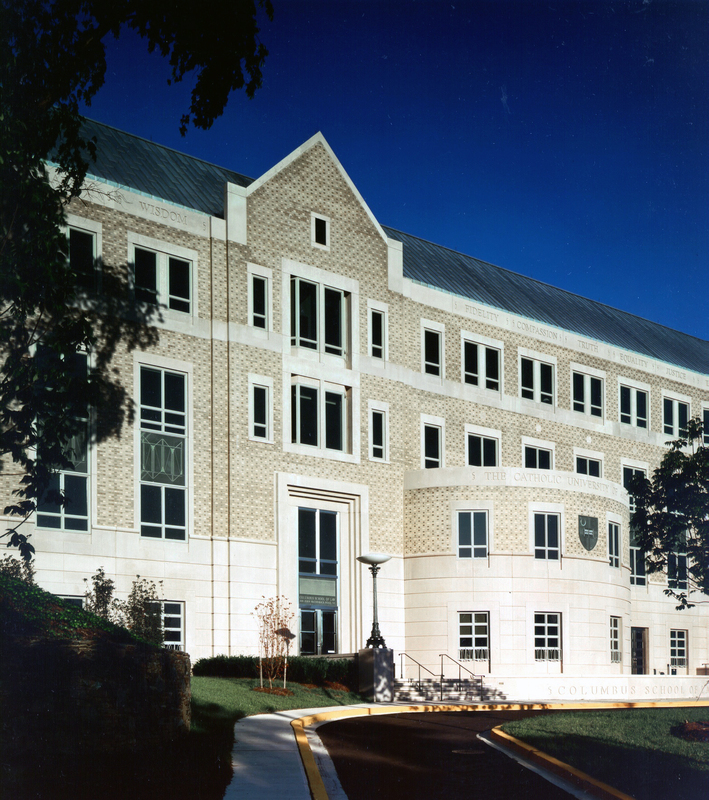 The Catholic University of America Columbus School of Law, Washington, D.C.